Tarsem Singh's IMMORTALS (no relation to the Angel Locisn, John Lloyd TV series) has been recently released internationally. And during recent interview, he revealed that he is very interested in creating a live-action version of Genndy Tartakovsky's 'Samurai Jack.' The series, which follows a samurai from feudal Japan thrust into the future by a demon and forced to find a way to return to his own time. Singh admitted that while he's not a big fan of what he calls "comic strip films," he loves the pacing and the animation of 'Samurai Jack.' He's gone so far as to publicly request that Cartoon Network execs give him a call. Tarsem Singh, with his extremely stylized visual style (he also directed "The Cell" which starred Jennifer Lopez, and "The Fall"), is a perfect director which may be more than capable of recapturing the bizarre and utterly cool universe of Samurai Jack. Oh, how I wish the great actor and voice talent Mako was still alive to do his voice of Aku, or at least the narration of the movie, just like he did in the animated TV series. 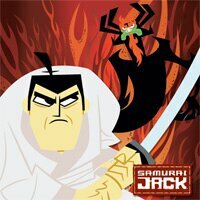 A live-action version of Samurai Jack was actually set up at New Line in the early 2000s, with Brett Ratner attached to direct and produce, but THANK GOD, that did not materialize (since 'Jack is such a great concept only to be given to a hack like Ratner) and the rights have since reverted back to Cartoon Network. Tarsem is currently in post-production on his movie "Mirror, Mirror" which is his take on the Snow White story (which is destined to rival "Snow White and the Huntsman"). "Mirror, Mirror" is set to be released in March 2012, while "Immortals" is set to have its Philippine release this November 2011. Kalma lang pre, dali na manlang ang 30! [NEWS UPDATE: THE RELEASE HAS BEEN RE-SCHEDULED TO DECEMBER 7. read more]I know a lot of people who have been bummed out by the fact that “IMMORTALS” will not be opening this week in Philippine theaters. “Immortals” is an upcoming 2011 3D fantasy adventure film directed by Tarsem Singh and starring Henry Cavill, Freida Pinto, and Mickey Rourke. The film also stars Luke Evans, Kellan Lutz, Joseph Morgan, Stephen Dorff, Alan Van Sprang, Isabel Lucas, and John Hurt. Although not marketed widely, the film has attracted and has generated a buzz in the local online scene with its trailer that reminded viewers of a cinematic look very much resembling Zack Snyder’s “300”. It should be taken note that “300” was such a hit here in the Philippines, as it is internationally. The hype surrounding “Immortals” proves that the moviegoing is drooling for a movie that would excite and entertain them the way “300” did. One source states that the Philippine release date for IMMORTALS is November 30, 2011. The official international release date of the movie is November 11, 2011. And just like any big movie, we are usually included to be among the countries that enjoy simultaneous international release (sometimes, Philippine release dates even come in advance than U.S. and U.K. releases). In the case of IMMORTALS, we were simply not included in its simultaneous international release list. Which seems like a big mistake because the Philippines has been one of the biggest Hollywood-patronizing countries, but at the same time, is one of the countries where piracy and torrent activity is rampant. EON Productions, MGM and Sony Pictures have officially announced this week the start of production for the 23rd James Bond movie, along with the title of the newest chapter in the James Bond franchise: "SKYFALL" Co-producer Barbara Broccoli said that the title "has some emotional context which will be revealed in the film"
The synopsis for "SKYFALL" has also been released: "Bond's loyalty to M is tested as her past comes back to haunt her. As MI6 comes under attack, 007 must track down and destroy the threat, no matter how personal the cost."